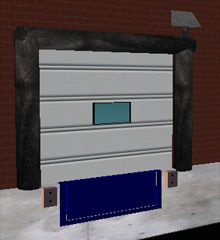 This Inflatable Dock Seal is a cost effective way to protect the building from damage due to contact from a truck. The seal inflates quickly to form a tight seal around the trailer that reduces infiltration of air during loading/unloading operations. The seal is single bag, mounted to a pressure treated wood frame using the attached grommets.